Summertime is just around the corner and that means vacation time for many. In this issue, we’ve previewed some of the country’s most renowned golf destinations, such as Pebble Beach, Bandon Dunes, Whistling Straits, Reynolds Lake Oconee and few other top-tier resorts to whet your appetite. While traveling far and wide is a worthwhile endeavor filled with horizon-expanding experiences, maybe a “Bucket List” trip just isn’t in the cards this year. It might be you’ve decided that kicking back at home (or close to it) is a much easier way to unplug and unwind. 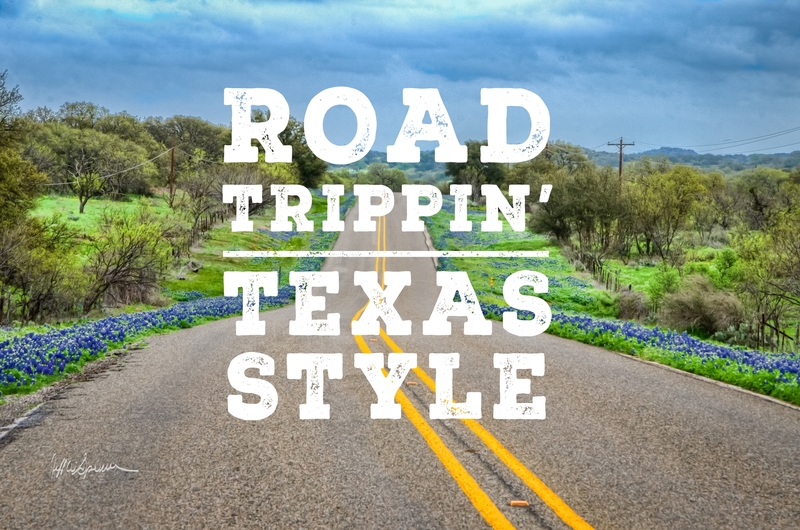 If that’s the plan – and you’d like to maximize your fun without having to hop on a plane – how about an old-fashioned road trip to check out some of the Lone Star State’s iconic vacation spots? Hitting the open road doesn’t mean you should leave the clubs at home, though. Perish the thought. A great many of Texas’ popular destinations have a gem of a golf course conveniently located nearby. While it’s good idea to have everything squared away before you head out, part of the allure of a road trip is being spontaneous. Plan some free time in your itinerary to check out a roadside attraction, local winery, state park, or, better still, a friendly neighborhood golf course. To help chart your golf time-outs, we’ve showcased some truly delightful courses adjacent to must-see places to help you fit in a few rounds while on your Great Texas Road Trip this summer. What are you waiting for? The open road and open tee-time are calling. Nothing beats a getaway to East Texas for the chance to sit out in the woods, near a pristine lake and breathe in fresh country air. Nestled among spectacular pine forests, Tyler has all these stress-reducing remedies covered and then some. Visitors can recharge by exploring the nation’s largest municipal rose garden, camping on the area’s crystal-clear lakes or hiking and biking in Tyler State Park. They can also find solace at Garden Valley Golf Club and the new Tempest Golf Club. Garden Valley in Lindale is located less than 20 miles northwest of Tyler on I-20. Designed by John Sanford in 1992, Garden Valley highlights the best of East Texas’ natural beauty. The scenic 18-hole course features towering pine trees, blooming azaleas and dogwoods, sparkling lakes and rolling hills. Tempest Golf Club in Gladewater, northeast of Tyler, opened in 2018, following architect Jeffrey Brauer’s complete renovation of the former Southern Hills layout. The first six holes are routed over the footprint of the old course, but the rest are completely new. The redesign showcases dramatic topography that rises and falls almost 200 feet, stunning woodlands and a four-acre freshwater lake. Set in the heart of the Texas Panhandle, Palo Duro Canyon State Park is the nation’s second largest canyon system. There are over 15,000 acres of hiking and cycling trails, along with other activities like birdwatching and geocaching, a real-world, outdoor treasure hunting game. You won’t need a treasure map if you want to play some golf there, however. Just up the road from Palo Duro are two 36-hole golf complexes owned by the City of Amarillo; Ross Rogers and Comanche Trail. The Ross Rogers Golf Complex is home to the WildHorse and Mustang Courses, located in Thompson Park north of downtown Amarillo. Both courses have recently undergone extensive renovations and are consistently ranked among the region’s best public courses. The Tomahawk and Arrowhead Courses at Comanche Trail Golf Complex are southeast of downtown. The two courses feature links-style allure with wide fairways, strategic bunkering and big, undulating greens that require you to conjure some putting magic to score well. Both golf complexes provide a welcoming and enjoyable golf experience with affordable rates and excellent conditions. The Texas Hill Country has dozens of small towns worth exploring. One of the most popular places to visit is Fredericksburg, a quaint community with a unique German flavor. From touring local vineyards and shopping on Main Street to hiking Enchanted Rock and fine dining, it’s easy to fill up a whole week worth of activities in Fredericksburg. Even if you’re only in town for a long weekend, that’s still plenty of time to sneak in a round at nearby Lady Bird Johnson Golf Course. In 2012, the course underwent a $2 million renovation overseen by Texan Jeff Blume that included a new irrigation system, additional tee boxes and new grass surfaces on the fairways and greens. With all the upgrades, the restored beauty now ranks as one of the best public golf courses in Central Texas. With more than 30 miles of sandy beaches and loads of diversions, it’s no secret that Galveston is an ideal vacation spot. The vast Moody Gardens complex, with its iconic pyramids, offers a wealth of entertainment options for visitors of all ages. The Moody Gardens experience doesn’t have to end at the sprawling amusement park, though. Just a few miles west, across Sydnor Bayou, sits Moody Gardens Golf Course. The old Galveston Island Municipal Course underwent an extensive $16 million remodel overseen by Jacobsen/Hardy Designs. The new layout, rechristened as Moody Gardens Golf Course, opened to the public in 2008. The par-72 course still has a relaxing, seaside feel with an abundance of palm trees, native grasses and natural water features. With five sets of tees, this player-friendly course is a favorite of locals and tourists alike. For kids – and kids at heart – who have a fascination with dinosaurs, a trip to Glen Rose is in order. The sleepy town of less than 3,000 full-time residents is home to Dinosaur Valley State Park and Dinosaur World, a family friendly dino theme park. For those who would rather hunt for pars and birdies instead of fossils, make your way across town to Squaw Valley Golf Club. The public facility has two very different and very good 18-hole courses – Apache Links and Comanche Lakes. Both courses have five sets of tees, ranging from 7,000 to 5,100 yards, so everyone can play from a distance from which they’re comfortable. In addition to great holes and lots of variety, Squaw Valley prides itself on having reasonable rates, great conditions and excellent friendly service. Located between Waco and Austin, Salado is a picturesque little town that has a lot going on. Known for its thriving creative community, Salado’s Cultural District is the epicenter for year-round events and festivals, and is home to many eclectic galleries displaying the works of local and well-known artists. With over 2,000 acres of pristine countryside nearby, adventurers have plenty of opportunities for picnicking, hiking, fishing and much more. Like golf. Situated amid the natural beauty of Bell County, Mill Creek Country Club is a welcoming spot for those looking to enjoy the outdoors by getting in a round or two. Open to the public for play, Mill Creek has three nine-hole courses designed by Robert Trent Jones Jr. The routings’ tranquil setting and fantastic combination of holes, makes Mill Creek a terrific choice for an unforgettable day of golf.